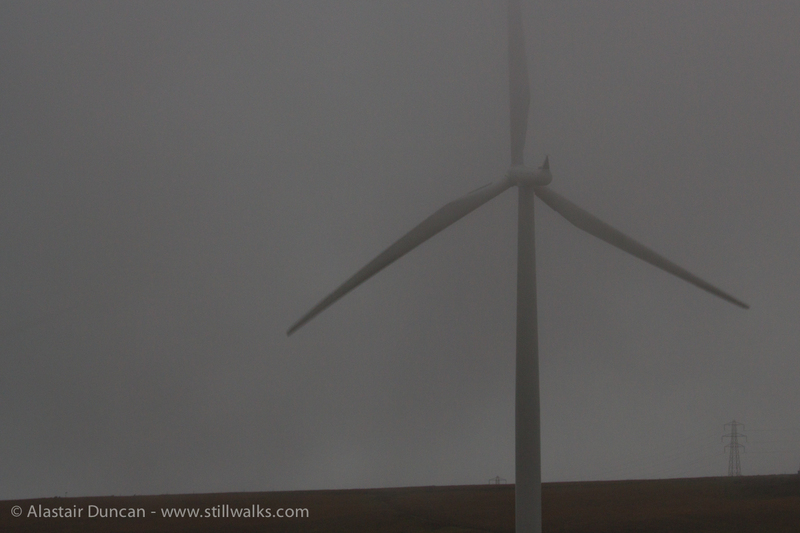 The blades disappeared into the cloud and it was difficult to see even the nearest of these wind turbines through the wind and rain. Whatever you think of wind turbines, you would have had difficulty seeing the Bettws Wind Farm on top the Mawr in weather conditions like this. 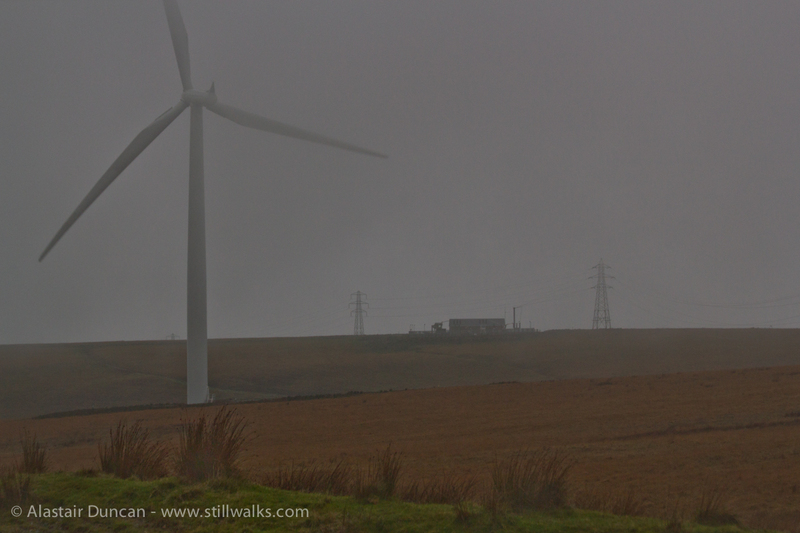 Posted in Environment, Landscape, Weather and tagged Bettws Wind Farm, clouds, environment, landscape, Mawr, mist, photography, rain, Swansea, turbines, weather, wind, wind farm. GReat atmosphere —–they are better than burning fossil fuel and could be designed more imaginately drive carefully in that mist!